Good kitchen design is always something that has caught my eye, and when I see a beautifully designed kitchen I will always start to day dream about being able to create my own one day. Being a renter in London means that sadly I can never do anything about the structure of the kitchen I have, instead, I focus my efforts on how to furnish it with my choice of table and chairs, the occasional String shelf which houses my growing collection of ceramics, a few cook books and my endless collection of wooden serving boards. As much as I love spending time in my kitchen, it’s not the most beautiful. Don’t get me wrong, there’s nothing actually wrong with it, it has nice-ish wooden worktops and white door panels for the cabinets, so as rentals go, it’s pretty neutral and fine. It also has lots of natural lighting which is a bonus. It just feels a little dated to me and just not 'me'. 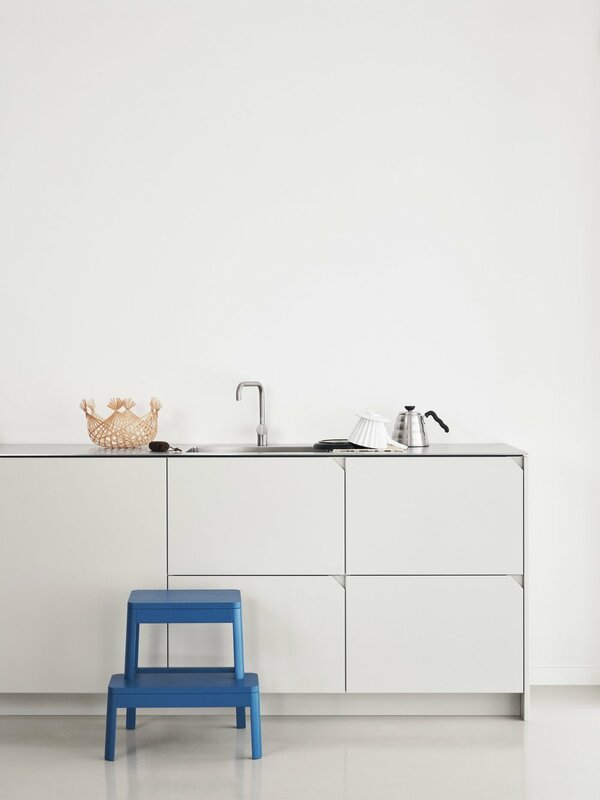 A couple of years ago, I realised that updating your kitchen doesn’t have to break the bank because there are some fantastic design hacks out there for standard IKEA units. One of the manufacturers that is doing this very well at the moment is Copenhagen based Danish brand Reform. Founded by two guys, Jeppe Christensen and Michael Anderson in 2014, with backgrounds in Marketing, engineering and design business, they have been going from strength to strength with the architect / designer collaborations they have been working on since they started. Over the years, they have created smoked oak frontages for Norm Architects, Bjarke Ingels Group and japanese influenced designer Chris Liljenberg Halstrøm. This time, they’ve partnered with up with Cecilie Manz for my favourite collection called Degree. 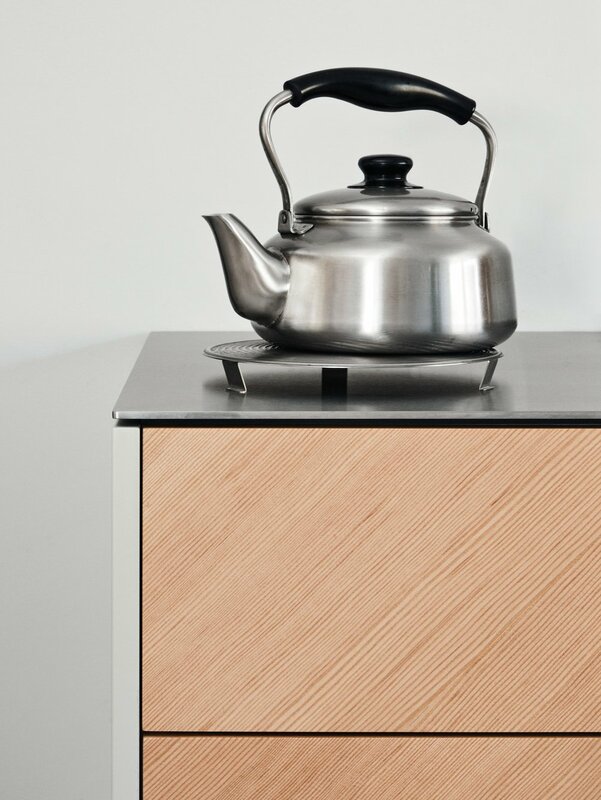 This collection is ultra clean, contemporary yet understated, and I would love to have the veneered Oregon Pine version in my future kitchen. It has a very narrow wood grain that is placed at a 45 degree angle which adds a subtle graphic element to the cleanliness of the design. The red-brownish wood colour contrasted with the 5mm steel countertop adds warmth to the whole unit, making it an inviting kitchen that I can completely imagine having friends gathered around enjoying a glass of wine whilst I prep the dinner. One of my favourite parts of the design is the lack of handles. 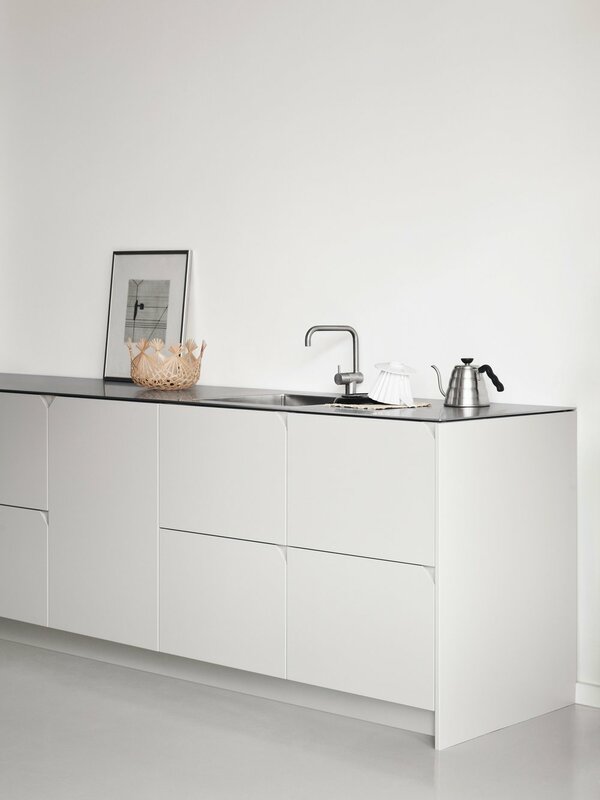 Instead, what Cecilie has done here is play on the idea of 45 degree angles (hence the name of the kitchen) and add notch handles that gentle breaks up the rectangular doors with that little element of design. There is also a painted light grey version of the doors which almost looks like a side boards instead of a kitchen and is equally as beautiful. Both styles are definitely a fantastic example of how you can mix form and function without compromising on design and elegance. The collection ranges from 102 Euros per 10 x 40 cm door and increases slightly the bigger door you go. It’s such an affordable way to jazz up your Ikea kitchen and give it a personal touch. Looking forward to seeing who Reform partner with next. 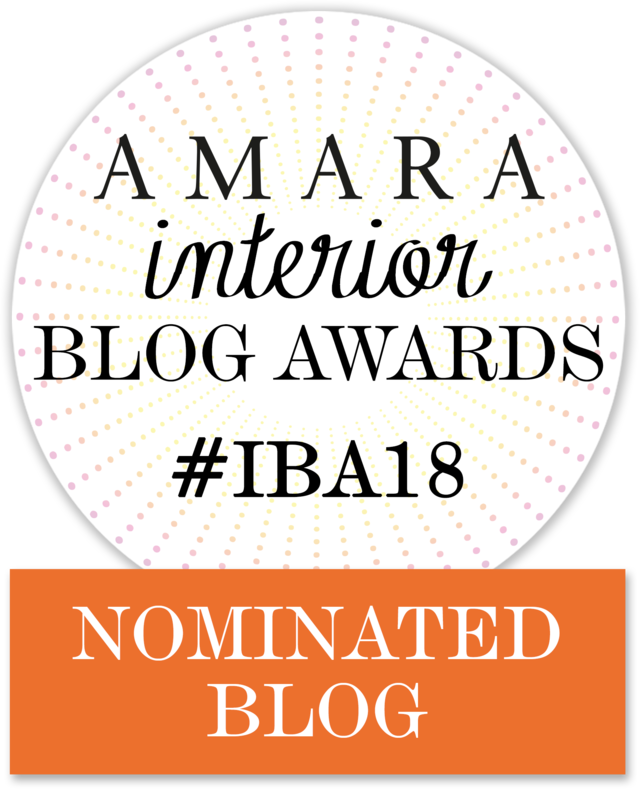 Here are some of my favourite kitchens at the moment from some lovely bloggers. Except for Selina's kitchen, the other two are actually also beautiful Ikea hacks but from Norwegian studio ask og geng. All images courtesy of Reform. All words and thoughts my own.